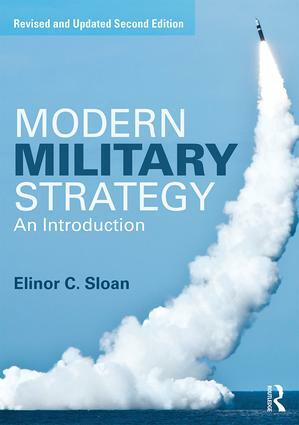 This textbook provides a comprehensive introduction to post-Cold War military theory for students of strategic studies. This second edition has been fully revised and updated, including a new chapter on peacekeeping, and examines contemporary strategic thought on the conduct of war in the sea, land, air, nuclear, space and cyber domains, as well as irregular warfare. Each chapter identifies contemporary strategic thinkers in a particular area, examines strategic thought through the lens of identifiable themes, and discusses the ideas of classical strategists to provide historical context. Examples of the link between the use of military force and the pursuit of political objectives are presented, such as airpower against ISIS and in Libya, counterinsurgency in Afghanistan and Iraq, counter-piracy operations off the coast of Africa, and the Stuxnet virus in Iran. The chapters identify trends, statements and principles that indicate how military power can best be employed to effect political ends, while the conclusion paints an overall picture of the relationship between classic and contemporary strategic thinking within each warfare domain. This book will be essential reading for students of strategic studies, war studies and military history, and is highly recommended for students of security studies and international relations in general. Elinor C. Sloan is Professor of International Relations at Carleton University, Ottawa, Canada. Her previous books include Military Transformation and Modern Warfare (2008), Security and Defence in the Terrorist Era (2005), and The Revolution in Military Affairs (2002).